It is absolutely amazing how ebay has managed to screw the whole site up so bad. the seller hub, the new markdown policy, the new "whatever they did" to the search protocol. it is absolutely impossible it seems to go from 6 months of big 2018 increases in sales year over year to a deafening silence beginning in july of this year and now continuing right into august, but as usual, ebay has managed to have all us small sellers on a respirator and i woud assume with the "fall update" they will pull the plug on us. 21 years and i rode out the storms and the good times, but this is just total lunacy. who ever is running the show and making these ridiculous decisions needs to be fired instantly. so now the "saturday warriors" as another seller referred to us as, are disappearing at an alarming rate. while we probably make up 20% of ebay sales, i can not imagine they would want to report any sort of drop in 3rd 1/4 earnings given the massive barage by amazon. if memory serves me correctly, God gave people brains to use, but obviously those in the decision making process at ebay have not figured out they have one. More from the above linked thread, read it before eBay takes it down. I worked for those gangster 9 years. They have so many slogans, campaigns, give to charity etc blah blah diversity teamwork blah blah blah. They are dishonest nasty thugs, especially upstairs. They tell us to do illegal and immoral stuff to the customers every single time they dream up a new "innovation". It's OK, their spouses can't trust them, why should we? Keep on playing with the system so that we will have more "glitches" which will cost the customer tons of extra money. If they catch us ....well, you know "it was an IT issue, we're working on it". Today we roll out shaft the seller day. Tomorrow it's extra fees for answering a buyers question because "they may have been planning to sell outside our venue". Let's punish employees and customers alike, isn't that what happens with teamwork? We can solve anything with a fee increase, some carefully engineered IT failures and a bunch of lies. The boys flying around in the jet have ruined what was once a very healthy company. Look at the turnover here the last few years. Your employees are bailing at an alarming rate. So are your sellers. Soon you won't have any left from either group. Crash and burn, E Bay. Life IS Greener on the other side of the fence. It's nice to go to work and be around honest happy people again. Why did I wait so long? Ebay continues to form partnerships with China and Chinese cities and companies. The CEO has continually stated that China is EBays future and seems to be doing all he can to make sure it happens. What a shame that the BOD ever allowed this lawyer who has no experience in retail except with the Chinese to become the CEO of what was at the time the best Ecommerce site on the Web. But now they just keep falling and falling and pushing more and more of their business to their competitors and then cannot understand why their growth rates are always under 10% per quarter while all the other sites are showing 20%+ growth a quarter. It hard to grow a site when you continue to lose sellers and the buyers that go with them. Good luck with this Ebay, your new program is the most recent show of how pathetic your company has become. But the worst is yet to come when they throw the Catalog and Product pages out full bore just in time for the Holiday Season since neither of them work correctly. 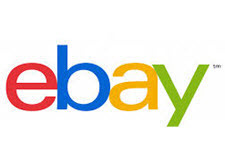 Ebay has even resorted to asking the Sellers who are experts in various categories to help them fix the catalog for free as they cannot offer anything other than the honor of helping them fix what they do not have the ability to fix. Of course Ebay will keep all the profits from this endeavor and Sellers will get absolutely nothing from it. I don't know where the complaints from people who will only use PayPal are really coming from. They had to drag me kicking and screaming into the PayPal-only eBay years after the mandate. I'd actually prefer to just plug in a credit card number as a buyer. Any place that forces me to make an account, let alone an account somewhere else, puts up an awful lot of resistance to receiving my money. The two times I tried using PayPal at a real store (we don't have those fancy smartphone payment apps in PA) was at Toys R Us and in neither case did it work. At the second store, the cashier even said they'd had it for over a year and she'd never seen it work for anybody. Now as a _seller_ I'd like to keep PayPal but that's mostly for book keeping purposes and not wanting the venue to dip their claws into my account on behalf of a fraudster. Sounds like eBay simply needs to admit that their payments system is still in development ... and not ANYWHERE near ready for user testing! 4 pages of comments and nobody has yet compared Wenig to Nero. Actually understandable...at least Nero had one skill. This is cute. Wenig wants to assure the public (investors and journo's really) that things are going great with payments. Wenig then goes on to flirt with a WSJ journo in a gag-worthy painfully obvious attempt to ''buddy-up'', ostensibly in anticipation of future WSJ eBay coverage (I'm not going to waste space here, you'll have to check it out yourself). I just noticed Devin (or one of his underlings) finally flagged my comment as ''offensive'' (as most of them eventually do). I ,of course, disagree and maintain that I am offering gratis solid consultative advice for the benefit of eBay sellers. Seriously, there's nothing there that a reasonable person would categorize as offensive. Fortunately that's the best they can do on Twitter, at least for now. So if you see the ''Show additional replies, including those that may contain offensive content'' block at the bottom of the thread, you'll have to click that. Well, I worked for ebay so I am not surprised. I also worked for banks and payment processors and the testing between a bank and ebay is quite different. We tested 1 line changes at BofA for 6 months and installations were like a military operation. No so at ebay. Devin needs forum where all comments are turned off, because the reality is, the silly clown does not read or respond to comments on his own forums where he would find 99% of sellers despise his replatforming of eBay and hate him also. You must have a whale of tales to tell. Having supported a large check processing system for an insurance company for many years, I certainly know that any change to the beast was not taken lightly. Then again, Wenig is a clueless stump of a being. Believes everything he spews out of his mouth. My customers have told me that sometimes it only shows that I have three listings? Well how could that possibly happen. I'm probably only shown in one Alaskan postal code. Well here's a reality for him. Sold $7000 in March, from the 1s to the 11th. Paid $2400 in fees for the entire month. Fast forward to today. $600 in sales for the same period. That's working for them isn't it. Multiply that by the hundreds of thousands affected by his greed and stupidity and he can't get enough new in to save the loss of the loyal, existing sellers he once had. Loyalty is gone for me. Etsy is the new ruler now. Long live the King. Hate is a strong word, but I'd prefer to use the term despise. Just gives that extra bang for your buck. When the Board of Directors wants Devin to fly on the corporate jet for security, you know that they got more than one threat on Devin from sellers, so Devin has ruined many businesses and livelihoods, that is why they hate exists and lives. I find it funny that Devin is bragging about how AI created 1 Billion in sales all the while he laid off 10% of the workforce. Hey Devin, the old keyword search of a decade ago produced 500 Billion in sales before you touched it and buyers could find what they wanted. So keep bragging about your AI search and eBay payments when you pull your head out of the sand so you don't see all the sellers on your forums posting about no and slow sales on eBay. Well that's what happens when a delusional megalomaniac and his sidekick are the the CEO and CFO of what was once a thriving business. It boils down to simple math. Take the sales away, take your fee revenue away. Lose your marketing power. Less buyers, less sellers, less viewers, less, less, less. I don't think he knows that a hyphen is also a minus sign. Obliviously try to throw promotion after promotion. Do these silly grab new sellers stunts. The man is seriously mentally ill. Absolute power does corrupt. Like I said before, Devin thinks he is right on with the replatforming of eBay and he has Cutler and the CFO talking the same trash to sellers and Wall Street, but the numbers don't lie like they do. eBay is going down the tubes, Wall Street knows it and Devin will keep on with his pathological lies and how good things are until the Board notifies him that he has been fired. The day he is fired I will certainly do a happy dance....lol. Devin told sellers at eBay open that he was working on setting up eBay for the next 21 years by modernizing the platform. So apparently he feels that all this replatforming is job security and that he is going to be around to rip off the corporation for another 100 million in salary for the next 10 years or so. The Day Wenig is Fired the Entire Ebay Community will be doing a happy dance. In fact that may become the largest sales day in history at every bar, pub and restaurant from all the people celebrating, if they still have any money left. I really do not understand why the BOD has not seen through all these lies and BS and fired him already as Ebay continues to struggle quarter after quarter. The way the 3rd Qtr is going, unless something changes drastically, the overstated and cooked GMV might still increase but when they release the audited F/S I think EBay may actually show negative growth all the way around. July was saved by one big sale at the end of the month, but so far August is not even close to paying for the fees, but sales are great on other sites. I just saw a post elsewhere that Ebays search engine just took another dump today and basically is not working at all. Great, another weekend of no sales on EBay. Another weekend Silver. I've had one lousy sale since August!